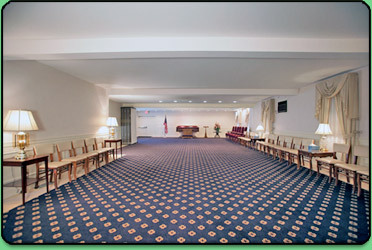 Staffing for the initial call, arrangement conference with family members or respondsible representitive, tranfer of deceased back to our funeral home, sheltering of the deceased for the required State of Massachusetts forty eight hour waiting period, securing and filing necessary paperwork, alternative container for the deceased (in lieu of casket), transportation to the crematory, notification and coordination of medical examiner and crematory, local delivery of cremains in a carton supplied by crematory. 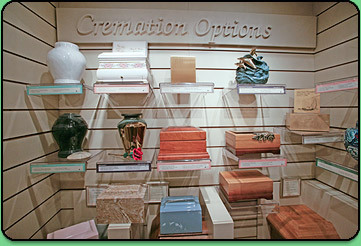 We also offer a variety of other services (see below) that can be selected to go along with the direct cremation service, such as a private family viewing at our funeral home prior to the cremation process or a memorial service at our funeral home or other designated place, with or without the presence of the cremains. Visitations play an important role in the healing process. It provides a time for family and friends to gather, share memories and to show their support for one another. The ceremonial container or memorial urn may be present with memorabilia items and pictures displayed. Visitations can be facilitated at a church, funeral home or personal residence and usually precede some type of service. Memorial Services - When this option is selected, the casketed remains are not present. If you choose, the cremated remains may be present in the memorial urn of your choice, which can be personalized if desired. Memorial services may be held at a church, the funeral home or other setting of your choice. We have a wide variety of memorial urns, most of which can be inscribed with personal text such as names and dates, a favorite picture or hobby or a custom design. For a more personal touch, keepsake jewelry and keepsake urns are available if you wish to keep a small portion of cremated remains with you at all times.